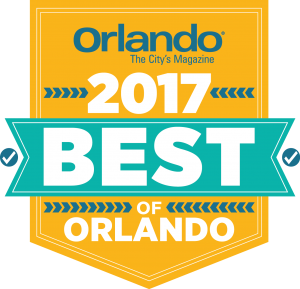 In many areas of the country, the summer months are when pool season is in full swing; however, here in Central Florida, we are typically able to enjoy our pools in Spring and into Fall. That doesn’t mean that the pool is the right temperature for everyone. Many times, kids will jump in the pool when the water is well below any temperature that is comfortable for an adult. So why not extend the pool season, backyard barbecues and get-togethers with family and friends? You can do this by installing a pool heater or heat pump! The benefit of an extended pool season is just one of the many pluses to heating your swimming pool in the winter months, and even during the summer months! Not only will you add many hours to your recreational time, but you also have a great venue for low-impact exercise. Here are just some of the many benefits to installing a heater to your swimming pool. Even in the summer months, heating your pool water makes for a more comfortable swim season. Depending upon your pool’s location, the amount of shade over it and if there is a pool cage around it, swimming pool water may only reach around 75 degrees. The ideal swimming pool water temperature for most people is between 82 and 84 degrees. This temperature can fluctuate further naturally due to inclement weather, which we are all used to here in Florida with our daily afternoon thunderstorm. By installing a pool heater, you’re able to set and maintain a comfortable swim temperature no matter what the weather or season. This is probably the number one reason for installing a pool heater! Depending upon your location, you may only have three to four months in your pool season and a pool heater allows you to swim more often and for longer. You are able to swim safely and comfortably well into the seasons where the temperatures begin to fall. When Florida experiences a mild winter, you may even find that you can stretch your swim season to nearly the entire year! You are also getting a higher return on your investment simply by the pool heater allowing you to swim more often. Who doesn’t love a good night swim? But those opportunities are few and far between in unheated pools as the temperatures fall into the evening. This is not the case in mid-summer, but the water can definitely feel cooler at night during other times of the year. Heating your pool gives you the ability to maintain a constant temperature no matter what time of the day so you and your guest can enjoy the water well into the evening. Same can be said for early morning swimming. So, no matter what the reason, you can rest assured you will be comfortable and the water will be at the right temperature no matter what time you decide to take a dip. Swimming provides a great option for getting your exercise in, benefiting people of all ages. It provides a low impact aerobic workout, keeps you cool and works all the important muscle groups. Water aerobics is often suggested for older people or anyone with joint problems; however, it is often hard to keep up with when the temperature drops, and your pool water gets chilly. In fact, cold water can lead to joint stiffness in those who suffer from arthritis and can also lead to respiratory stress in children and senior citizens who have weaker immune systems. With a pool heater, you are able to keep the exercise going longer and it helps relax sore muscles. Swimming is an excellent form of cardiovascular exercise and doesn’t place undue stress on joints. When you extend your swim season with a pool heater you are able to do more swimming and more swimming means more exercise! Heat Pumps: Heat pumps pull heat from one source and transfer it to your pool water. Gas Heater: This is one of the most common types of pool heaters. Pool water is heated quickly, and it can be a cost conscious choice if gas prices are low. Gas heaters burn natural gas or propane inside a chamber and your pool water is heated as it flows through the chamber. It isn’t, however, the most energy efficient method like solar heating or heat pumps are. Solar Heater: Solar heaters use the heat of the sun to heat the water via solar panels. Pool water warmed as it is pumped through the panels and then returned to the pool. A lot of times solar heaters are used together with other heating methods as their ability to heat the water relies on the sun so overcast days and night time do not provide the heat needed to warm your pool water. All of us here at Pools by Bradley live and breathe our mission of designing and building your ultimate outdoor pool atmosphere – but the most important thing is we want you have FUN for as long as possible! We intend to inspire you to improve the recreational time you spend with your family and friends in your new outdoor environment – and you can extend that time with pool heaters and heat pumps. Our motto is “take care of the customer and everything else will take care of itself”. When you choose Pools by Bradley to help you build your dream pool, you can rest assured that you’re choosing the very best. 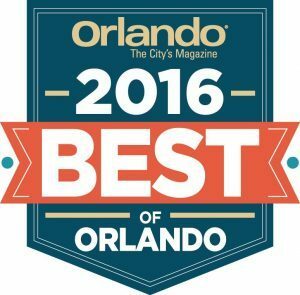 As a local family owned and operated company founded in 1996, we have received numerous design awards and honors. 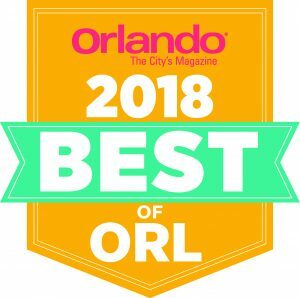 Pools by Bradley is rated as one of the top 50 pool builders in the U.S., plus recognized as the “Best Pool Company” in Orlando by Orlando Magazine several years in a row! We offer custom built pools and spas with additions ranging from water features and lighting effects to rain curtains and water slides…the sky’s the limit! Contact us online or call us today at 407-323-7496 to see how we can help you build the pool of your dreams!